Guys, I’ll admit it. Past couple weeks I’ve fallen off the wagon. I could blame it on being sick, but in reality I’ve been lazy. I just haven’t been that motivated to cook/eat clean or work out that much. In fact, I haven’t really been motivated to do anything, including the piles of reading I have to do for school. 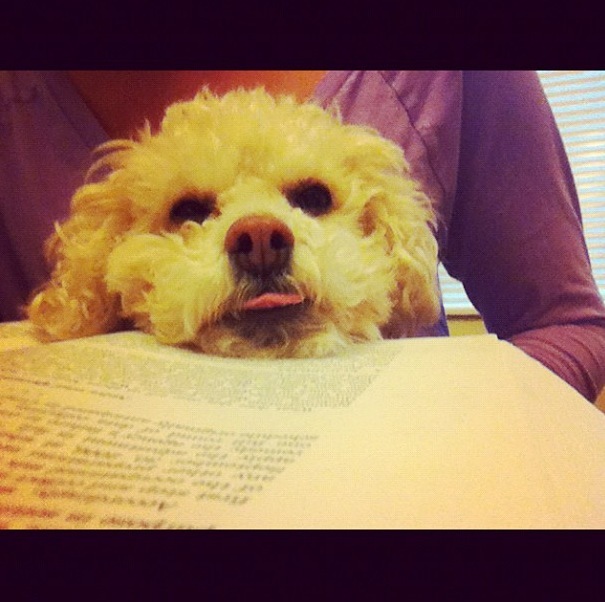 My dog thinks Corporations reading is boring too. I definitely go through phases of being super motivated, I can totally do this, I’m a rockstar, YAH!… and then I just burn out. It’s hard once you lose that drive to try to find it again and re-motivate yourself to be the best version of “You” that you can be. There’s a two phase plan I used to try to get myself back on track when I fall of. Phase 1 starts with watching this video, which always makes me want to go take on the world This. Very. Second. Then I look up and see it’s cold and grey outside and I decide the world can wait. But no one ever got what they wanted out of life by watching Grey’s Anatomy reruns for hours on end, so then Phase 2 kicks in. Success doesn’t just happen. 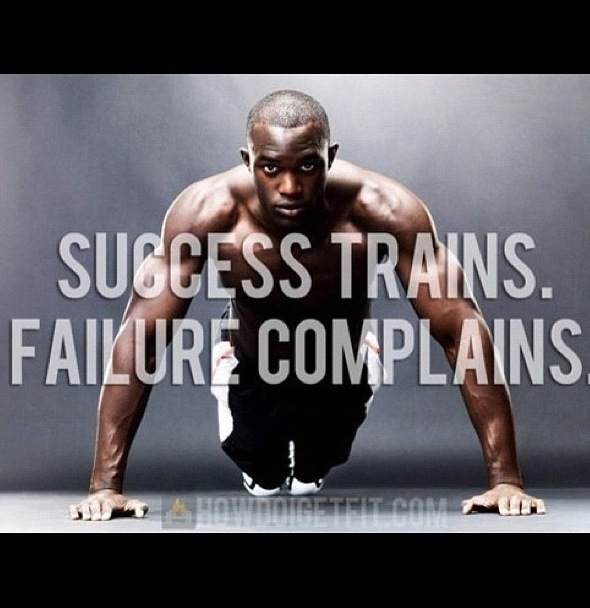 You have to work for it. You have to plan for it. So, I make a plan. I make it detailed. I make sure I stick to it. It’s hard to fall off track when you know exactly what you are supposed to be doing at any given moment. I’ve been really slacking in the cardio department. Like, really slacking. Like, I’d probably be wheezing after a mile or two if I went for a run. Since one of my 2013 goals is to break a 1:45 1/2 marathon time, we can’t have that. So last night I sat down and drafted a training plan. It’s an easy one, one just to get me back into the grove of running. I still want to keep my lifting, so I scheduled Three “PT” (Personal Training) times in there, along with interval runs to work on speed, hills, and tempo runs. As of now I haven’t registered for a race, but I know in a month or so I’ll start looking some up. I’ll have another week’s worth of groceries/recipes this Saturday to help get me back into making my own food again. I know I’m capable of more than I’ve been giving the past couple weeks in school, in working out and in life. I’m ready to get back on track. I’m ready to be successful. This entry was posted in Fitness, Running, Workout and tagged 1/2 Marathon, CrossFit, diet, fitfluential, Fitness, health, Inspiration, Lifestyle, Motivation, Run, Running, Training, Workout by fionaboger. Bookmark the permalink.